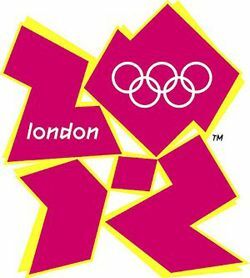 BBC confirms 3D coverage for London 2012 Olympics | What Hi-Fi? The BBC has announced its plans for 3D coverage of this year's Olympic Games in London. As with Wimbledon last year, the Beeb will run a trial during the event, broadcasting parts of the games in 3D. These will include the opening and closing ceremonies, the Men's 100m final and a highlights package at the end of each day. The free-to-air 3D broadcasts will be shown on the BBC HD channel, while SD and HD coverage will be simulcast on BBC One and BBC One HD. "We have always said we believe some of the 2012 games should be captured in 3D, and we're delighted to confirm our offer to audiences in the UK, providing them with a new way of getting close to some of the key moments," says Kim Shillinghall, head of BBC 3D. The 3D highlights will be shown on BBC HD after the live sports have finished, using what the BBC describes as 'spare' capacity on the channel. To find out more about the BBC's 3D Olympic coverage, see Roger Mosey's blog. For those who don't want or have a 3D TV, the Beeb's Olympics coverage will extend across BBC One, BBC Three, the BBC Sport website (with up to 24 live video streams), the BBC red button service, BBC Radio 5 Live and BBC mobile.